It is often said that pastors never really retire and the Rev. Dr. J. Keith Zimmerman seems to be making sure of that. 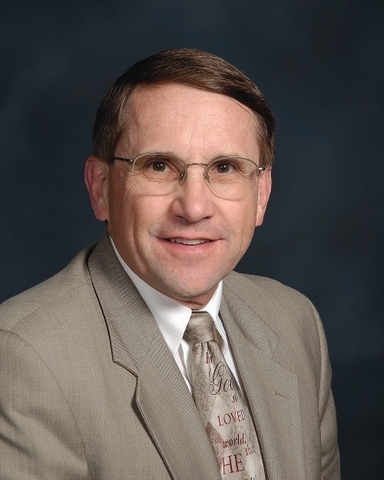 In an announcement shared with pastors of the Vermilion River District Jan. 3, Zimmerman announced he will enter retired relationship with the conference effective July 1. For Zimmerman, retirement will mark the end of a 7 ½ year tenure as superintendent of the Vermilion River District. The Book of Discipline sets a term of six years as the length of time a superintendent normally serves with that being extended up to two additional years for missional reasons. “After prayer and reflection, I have requested permission to enter retired relationship so I can make myself available to offer coaching and consultation services, as well as ministry and leadership training opportunities, for clergy and churches,” Zimmerman wrote. “I look forward to what God may yet have in store as I continue fulfilling my call to ordained ministry and disciple-making. Zimmerman was quick to note the cooperation and commitment of clergy and laity in his district during his tenure. “I pray the next six months will be the best yet in our joint efforts to reach and receive new persons into our faith communities, and to raise and release them as disciples for Jesus Christ for the transformation of the world,” he added. Zimmerman became Vermilion River District superintendent Jan. 1, 2004, succeeding the Rev. J. William Cooper, who took early retirement due to health concerns. The deepening of the clergy covenant was one of the foci Zimmerman noted as he came on the Cabinet seven years ago. A native of Colfax, Zimmerman was called into the ministry during his college days at Bradley University in Peoria. A graduate of Evangelical Theological Seminary in Naperville, Zimmerman received his Doctor of Ministry degree from Garrett-Evangelical Seminary in Evanston. He and wife Bobbie served pastorates in Illinois City-Pine Bluffs, associate pastor of Macomb Wesley, Moweaqua, Mahomet and East Moline Christ prior to his appointment to the Cabinet.